This baby post was unplanned (pardon the pun) – it resulted from a comment left on yesterday’s post. Money Gardener left a comment in yesterday’s post asking how I handled the lack of income while I was on parental leave – quick answer is “not very well” 🙂. The good news is that it was more or less temporary because I got a “top up” from work during my time off, the only catch is that I didn’t get the money until I went back to work but taking a short term loan to cover was not expensive. Between getting EI benefits and the top up (100%) I ended up getting full pay although I had to wait a while to receive it all. A more typical scenario involves the mother taking a big financial hit by not getting paid for a year except for EI payments. Even if they get a top up from work, usually it only lasts for a fraction of the maternity leave. For dad to take even a month off at no pay (I’m assuming no top up), it might be pretty tough. Unfortunately there is no easy way to handle this. Although it’s different for every family, this is the one time I would suggest that taking on some debt to cover a short unpaid parental leave (say one month) might be worth it. My reasoning for this is that you won’t get too many opportunities to take parental leave so you should try to take advantage of it. Once both parents are back at work then they will be getting their full pay (minus daycare) so the extra debt can be dealt with then. Obviously if your finances aren’t very strong to begin with then this might not be a good idea. Most of my friends who had similar situations basically cut back expenses as much as they could, borrowed if they had to, even cashed in some rrsps if necessary (this isn’t such bad strategy if mom’s income is low for that year, although it should be avoided if possible). I also know people where the mother had to go back to work early because they couldn’t afford the one year maternity leave. My best advice for couples who are thinking about having kids sometime in the future is to work on improving your finances as much as you can. The better shape your finances are in, then the more options you have when it comes to things like maternity leave and parental leave. Thanks for that post. I will post on the strategy that my wife and I are undertaking to plan for her upcoming mat. leave on my blog. Thanks MG – I’ll be looking forward to reading your strategy. We didn’t have much strategy for the first kid and we didn’t think about anything else the second time either. Like you said, couples try to cut down their expenses as low as possible and then, try to survive! I plan to use my year end bonus to compensate for the lack of income. That will give us more flexibility until we receive our tax return in May/June. Thanks for the insight on budgeting for babies! My husband and I set up our finances when we got married such that we could live off one income (our incomes are essentially equal). We don’t necessarily sock away 50% of our incomes (we’re at ~46% of net) but we would be able to make due with a few less splurges (i.e. vacations). We took this into consideration when we bought our house, which was key. If maternity leave works for us, it would hopefully only mean no more RRSP contributions or pre-payments on our mortgage. Telly – I’m thinking maybe you should have written this post. It sounds like you will be far better prepared than most new parents. 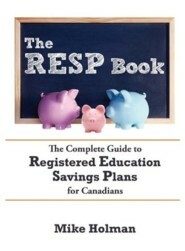 Good point about cutting back extra mortgage payments and rrsp contributions to save cash. hah…thanks Mike. The thing is, I don’t know anything about the hardest part…parenting! Hopefully someday soon. This really is a great series! I’m looking forward to the next installment. I couldn’t agree more that it’s worth taking a financial hit to spend a month or two at home. I would, however, recommend that you try to rearrange your lifestyle before the child arrives rather than taking on debt once he/she comes. My wife and I went to great pains to change our lifestyle so that we could live off one income – like Telly – and even worked hard at saving up a “just in case” cash backup so that I could stay home for a while. I ended up staying home a little more than 3 weeks (which is a long time for a father in America) and my wife never went back to work. It’s worked out well – we have less income but it’s well worth it to spend time with our son. I agree BB – it’s well worth a few bucks. I’m not sure if I understand why are some companies (and government) are able to top up the maternity leave, but if you don’t have a top up and would like to work part time to get some extra money, this money is deducted from EI. How come the ‘top up’ is not taken off the EI? How do companies get around this? Can I ask my company to pay me for my part-time work and have them consider it a top up? I don’t mind working for the extra money, but I resent it being taken away from the EI AND I see people getting fully paid for the year without having to do anything. What’s the difference?